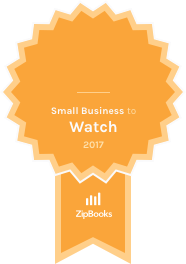 Saratoga Springs, Utah — ZipBooks is proud to recognize Mazziotti Design as a ZipBooks Small Business to Watch for June 2017. Mazziotti Design was selected across all small businesses using the ZipBooks platform. Mazziotti Design is a freelance graphic design firm that specializes in logo design, packaging, print and website design. Founded in 2003, they are located in Saratoga Springs, Utah where they serve a diverse clientele from an array of businesses and organizations spanning both coasts. Mazziotti Design is a freelance graphic design firm that specializes in logo design, packaging, print and website design. They are located in Saratoga Springs, Utah where they service a diverse clientele from an array of businesses and organizations, spanning both coasts. Some of their clients include Godiva Chocolatiers, HP, Creighton University, Franklin Covey, Marriott Hotels, NuSkin, Symantec, the G8 Summit and Goal Zero.